First, the perfunctory disclaimer: I am not a fan of Rick Perry, although I have voted for him in past general elections. That said, nobody deserves to be threatened with 99 years in prison because of a political disagreement. And yesterday’s indictment of the governor appears to be just that: an attempt to criminalize a political disagreement. 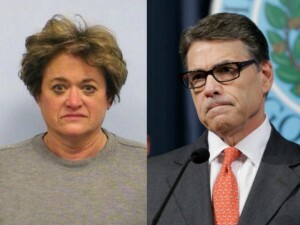 As I understand the indictment, Perry is charged with one third-degree felony and one first-degree felony (i.e., the equivalent of a murder charge in Texas) because he threatened to veto funding for the public integrity unit at the Travis County District Attorney’s Office unless District Attorney Rosemary Lehmberg resigned. Lehmberg, you may recall, had been arrested for drunk driving. She was videotaped kicking her cell door in the Travis County Jail, yelling at jailers, and demanding special treatment, and she ultimately had to be restrained because of her resistance. Afterwards, she steadfastly refused to resign, and Perry made good on his threat by vetoing $7.5 million in funds for her office. According to Michael McCrum, the special prosecutor who sought Perry’s indictment, the governor was within his rights to veto funding, but he committed a felony by threatening to veto funding unless Lehmberg resigned. Perhaps McCrum is unfamiliar with the First Amendment. Does the governor not have the right to threaten to do what he has every legal right to do? And what difference does it make that he was trying to force Lehmberg from office? There is no evidence that he was acting with any other motive than to remove a reprobate prosecutor from office. He should be commended for that, not imprisoned. Unfortunately, this appears to be the latest attempt to use the criminal justice system for political purposes. Never mind what you may think about the prosecution of D’inesh D’Souza, Travis County alone has a long history of politically-motivated prosecutions. I am reminded of the time when Lehmberg’s predecessor, Ronnie Earle, got former Senator Kay Bailey Hutchison indicted, only to have the charge thrown out. Earle, a Democrat like Lehmberg, was infamous for that kind of stunt. I suspect the charge against Perry will be thrown out in short order, but I hope the impact of this latest politically-motivated indictment will not be lost on the Texas Legislature. First, before restoring any funding to the public integrity unit, the legislature should transfer the unit elsewhere. It does not belong in the Travis County District Attorney’s Office, and it never did belong there. I do not say that because Travis County voters tend to elect left-wing partisans (although they certainly do), but because all voters in Texas should get to decide who is “watching the hen house.” Public corruption in state government is a matter of concern to all Texans, not just the ones in Travis County, therefore all Texans should have equal input in deciding who runs the public integrity unit. The legislature could transfer the unit to the attorney general (who is, of course, elected by all voters in the state), but the AG is also a partisan political player in Austin. A better option might be a bipartisan entity like the Texas Ethics Commission (although I wouldn’t necessarily recommend the TEC itself), where at least one member from each party must vote to go forward with an investigation or prosecution. The latter option could also solve another problem: special prosecutors. The issue hits close to home for me because, like Perry, I have been on the receiving end of a special prosecutor (more on that below). * Almost by definition, special prosecutors have only one task and one target and, once appointed, they effectively answer to no one but themselves. Whereas the AG or a DA answers to the voters and must balance numerous cases against a single budget, a special prosecutor only has one case, and he or she only gets paid for as long as that case is alive. The longer I practice law, the more I realize that attorneys need clients as a counterbalance. If special prosecutors had to answer to a panel or committee representing the interests of the client (i.e., the people of the State of Texas), I suspect we would have far fewer runaway prosecutions. The panel or committee would decide, at any given point, whether the special prosecutor’s endeavor was deserving of taxpayer support. And if that panel included an equal mix between the parties, I suspect we would have far fewer politically-motivated prosecutions. A prosecutor has the responsibility to see that justice is done, and not simply to be an advocate. This responsibility carries with it a number of specific obligations. Among these is to see that no person is threatened with or subjected to the rigors of a criminal prosecution without good cause. Rule 3.09, Comment 1, Texas Disciplinary Rules of Professional Conduct. Most jurisdictions have a similar rule, and it is badly under-enforced, if it is enforced at all. Maybe this is the time to start enforcing it. If you want to join the bar grievance against the special prosecutor, join the “badprosecutor” Google Group. If the case against Perry is dismissed, you will receive an email notice about what you need to do to join the grievance. Anyone — inside or outside Texas — can file a bar grievance in Texas. * After I filed a civil lawsuit in 2009 accusing then-Robertson County District Attorney John C. Paschall of stealing money from an elderly woman, he signed a false affidavit accusing me of illegally soliciting a client, then he used that false affidavit to get a special prosecutor appointed. I immediately produced an e-mail string to rebut the charges, and numerous witnesses corroborated my version of events, but special prosecutor Brad Beers kept pushing the case. He finally gave up after I was no-billed by two different grand juries. The State Bar of Texas has since filed charges against Paschall, and he is under investigation by the Texas Rangers and the Office of Attorney General. Nope. Perry gets to make funding decisions – but he doesn’t get to threaten anyone. He just wants control of the office. Ain’t gonna happen. Yea! Apparently some Republicans voted to block a bill that would have transferred the public integrity unit to the AG’s office. Why?